That was the day that I died. The day the white wolf told me he was going to die. He told me there was no hope for him, but that I shouldn't be afraid. When he lay down and died, the Black Wolf came and ate him alive. Tore open his chest and went for the heart. Tore out his belly and took out the guts. With a swoosh of the tail she went straight for the eyes. Pierced them with the scorpion-like stinger at the end of its tail. So swift, so clean, she took them out before the venom could reach the brain and numb it. Turned them in ruby-colored diamonds and swallowed them whole. I died with the White Wolf that day. 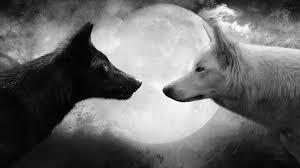 I died by the Black Wolf that night. The next day I was surprised to wake up to the licking of a wolf cub. All white, toes to the ears. White tongue, white eyes, yet kind and gentle and serene. And curious as all newborns are. So playful it went to its mother and licked her face and her ears. And the blood off her snout. The last day I called for him. It was no longer a cub, but had already grown into a pup. Came to me but called on me to follow. Took me through mountains and valleys and deserts and cold. Right to the place where his father had died eons ago. His mother arrived just in time to see it look at his father's corpse. And killed him with a powerful bite. Right through the spine, close to the head. Clean cut, no blood to be spilled. How dared he be white as his father. She was not going to let him live to become her opponent. Her eyes turned pearl white, then green, her hairs translucent. The Time of the Apocalypse. The Bear-Shaman stood silent at the foot of the hill, seated directly on the ground. S/He could sense the movement of the Earth. The Mutable Earth. The trembling in the air, before the movement. 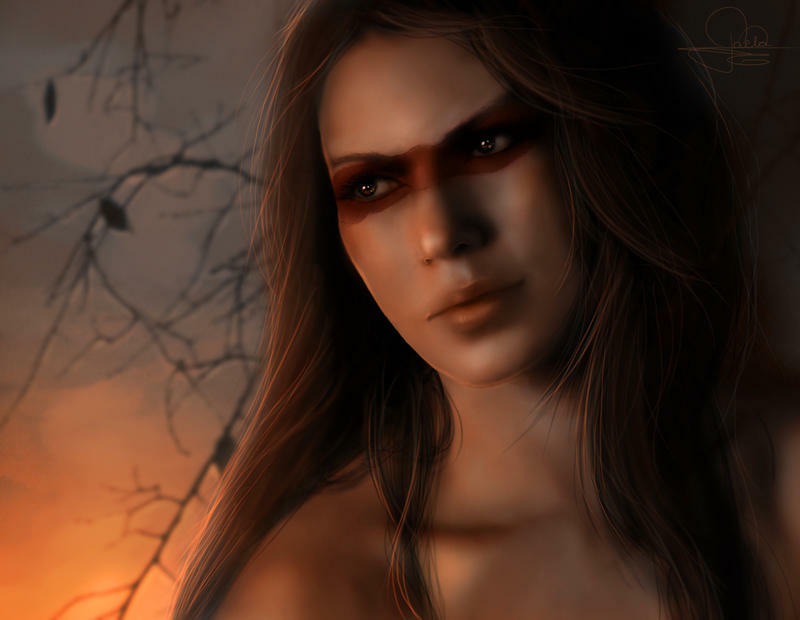 His/Her dark red skin around the eyes seemed even darker in the twilight. The air surrounding him/her started to glow an ethereal green light. S/He started the low chant of healing. The marks from the dragon's claws started to glow, since they were not yet fully healed, like the older ones. A low humming, almost imperceptible to the ear. But touching, rearranging atoms and molecules. Just rearranging the cosmic net, both dark and light energy. The energy of creation, the energy of destruction. Miniature nuclear bombs going off. You honour me as I honour you. She dismounted slowly from her Beast. She wanted to take a last look around the now familiar mountain. The dragon shaped into the Earth. The last look over the crevices, over the peaks of the volcano. The smooth slopes of one side, the irregular fractal-like shapes of the other. She felt she had failed her calling. She felt she had failed to be a dragon breeder. Yet part of her kept saying it was supposed to be like that. She felt it was bad, but things have to be bad so that they become better. She knew the power was inside her to remold everything. Even The Black Wolf. She closed her eyes and let herself go. She let the torrent of life and death tear everything apart. Do you have what it takes to FOLLOW THE BLACK WOLF? Disclaimer / Inspiration: the pictures are copyright of their respective owners, if you consider them not to be appropriate on this blog, please let me know and I will take the links out. It should not be considered "stealing", since all sources are mentioned / linked.